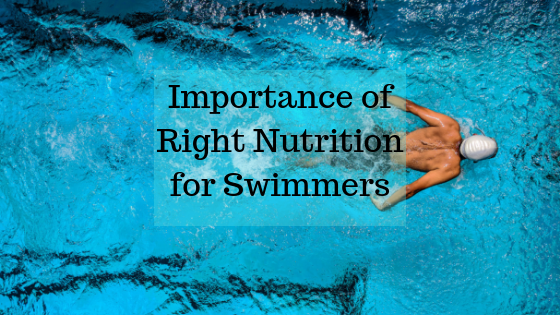 I recently conducted a nutrition education seminar for young swimmers to educate and create awareness among young athletes and to convince them that they need right nutrition planning for the right development and to be able to perform at their optimum level. It takes massive hard-work and endurance levels to be a good swimmer. The strength and speed in the water will depend on how you have been fueling your body. Our body has a very sharp memory and can not be fooled. You can’t expect to win a competition when you start eating correctly 20 days prior to the tournament. Sports nutrition is a process and should be done daily. It also was heartening to see that some of the athletes were already following my tips on Facebook and Youtube channel . This shows there sincerity & commitment towards the sport. The next step forward for them is to question themselves whether or not they have the right strength and speed to be a good swimmer? do they recover quickly? do they frequently get injured? Are their body able to cope up with their sports ambitions? If you are failing in your sports career and want to revive it, you surely would like to visit us at our clinics. With 216 Gold medals, 108 Silver medals & 88 Bronze medals across various swimming competitions, we just know how to fuel a swimmer for performance. Contact us on 97-4343-0000 or Register for a discovery call from our team.